Narrow backyard? No need to sacrifice! 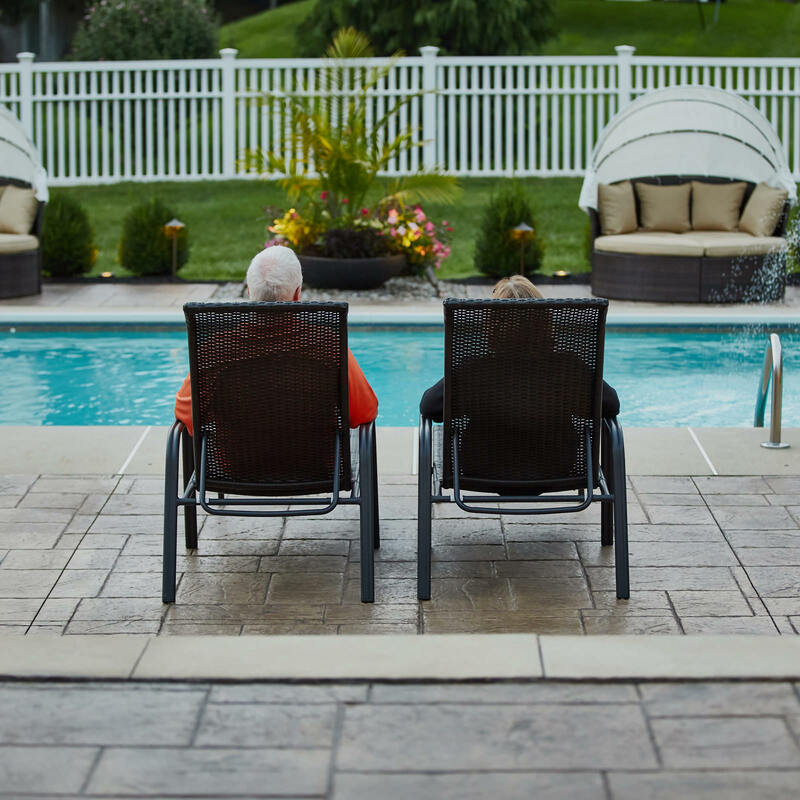 Investing in a property can come with its own set of compromises, and for some homeowners, this may equate to a compromise in outdoor space. Owning a property with a tight, narrow or awkward-shaped backyard doesn’t mean you need to sacrifice beauty, comfort and function outdoors! While the size and shape of the lot may present the biggest challenge, all hope is not lost. 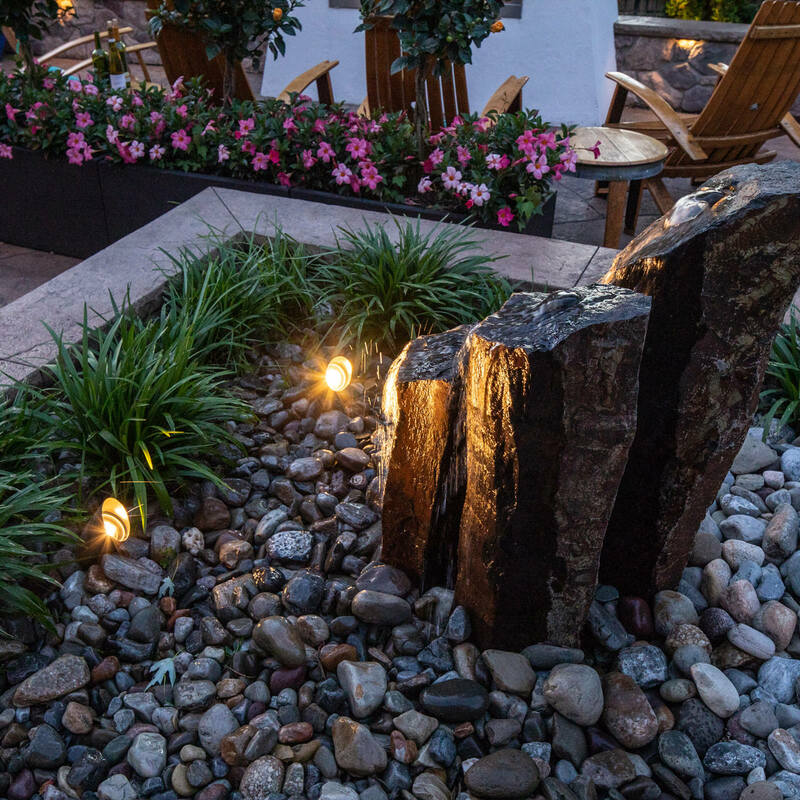 There are plenty of innovative approaches and methods in landscape design that can successfully expand views while maximizing every inch of usable space. Let’s explore a few top tips for narrow lots that aim to transform this disadvantage into a designer delight. One way to shift the sightlines in a narrow backyard is to create curves or to design diagonally. Winding or bending walkways and landscaping can trick the eye to think that the space is wider and longer than it actually is, as the eyes will naturally follow the path as opposed to focusing on the actual edges of the property. Designing the space with a diagonal orientation, spacing each destination on an angle creates the illusion of more space from corner to corner, but the preciseness of this design style will compliment a more contemporary or modern home style. 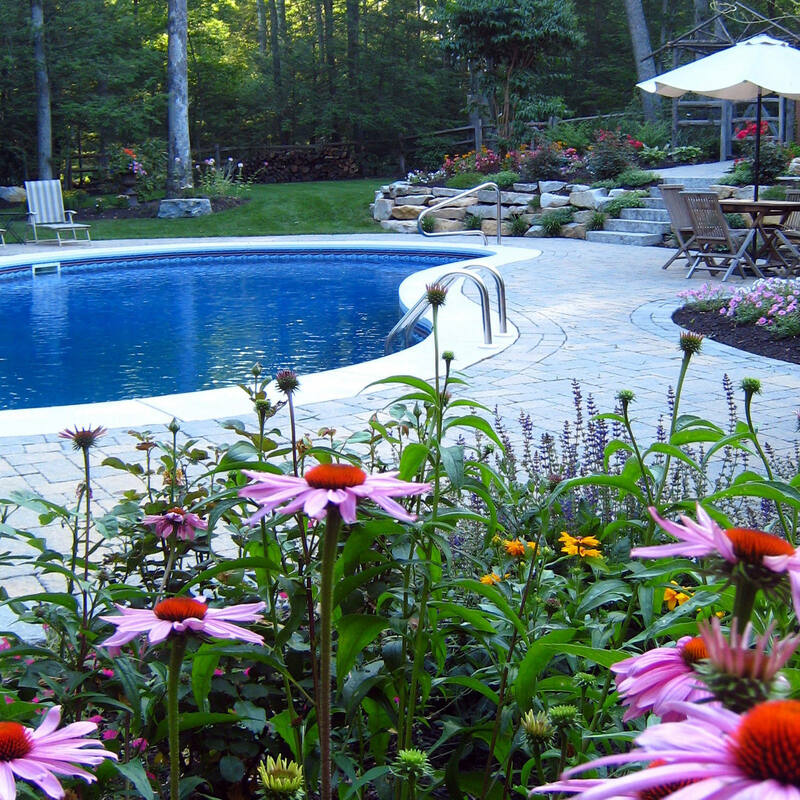 Dividing the space in the backyard inherently seems counterproductive, but the backyard will feel larger as a result. Creating specific spaces for specific functions will also give the space direction and purpose. 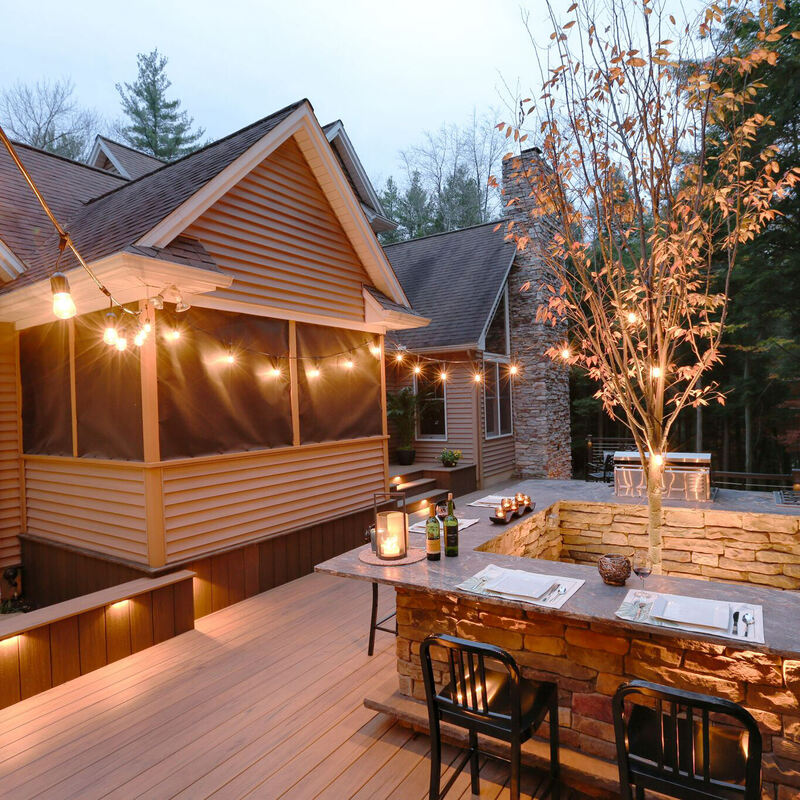 Whether your main goal for your backyard is cooking and dining, relaxing or even a space for play, there will be a designated space for each, making it feel like the area is bigger than it actually is. Each destination will essentially act as its own focal point within the landscape, keeping the attention away from the lot boundaries. Connecting these spaces with pathways and the appropriate landscaping will solidify the intended divide-and-conquer ambition. Another indisputable, but often overlooked method to make a narrow backyard feel larger is by taking advantage of the vertical when the horizonal is just not possible. Smaller-scale projects can implement attractive trellises and living walls to guide the eyes upwards while providing space for climbing vines and flowers to do their thing. Sturdy and supported trellises can work double duty by blocking out unsightly surroundings yet allowing the breezes and sunlight to filter through into the space. If a fence is absolutely necessary to separate properties, upgrading the type of fence may be your best choice. Upgrading from older chain link to a vinyl or matte aluminum fence can make a world of difference when it comes to visual appeal. On the contrary, if your plot of paradise is narrow and also sloped, this could work to your natural advantage. Capitalizing the grade changes provides the opportunity to create lower-level destinations, which can be connected by steps or staircases. 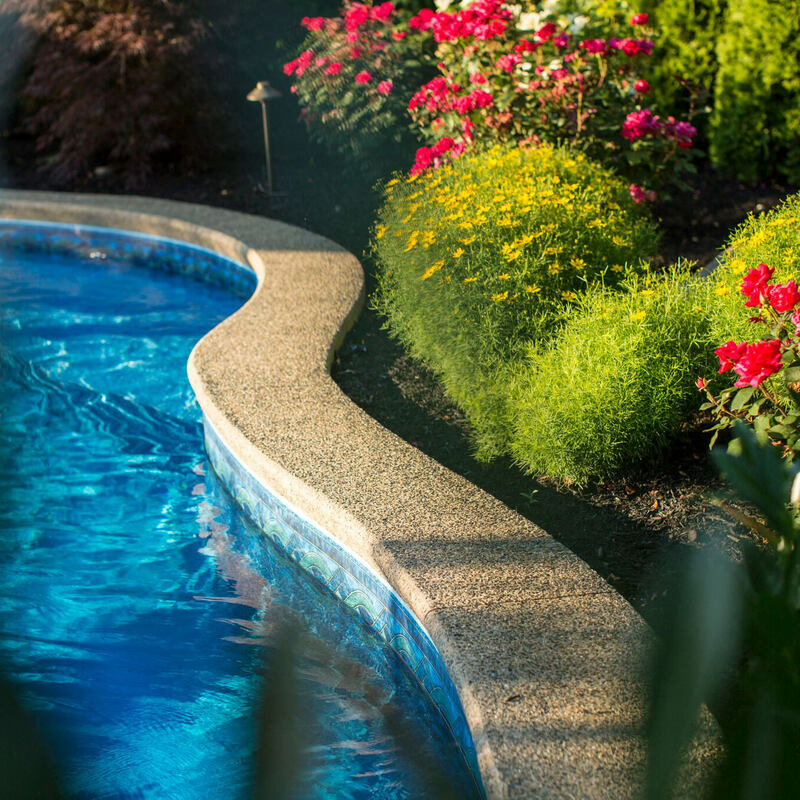 Sunken spaces, even in a smaller backyard, will create the feeling of privacy and coziness. These sunken rooms are the perfect for relaxation destinations! The more you try to cram in a narrow backyard, the smaller it will feel. Instead of spreading 20 little pots of flowers around the space, utilize a few large-scale planters that are all the same style and similar in color scheme. A few larger accessories will give the same impact as several smaller ones, but provide a greater impact while saving space. The same can be said for the landscaping you want to include within the landscape. Instead of landscaping that is apt to spread or get out-of-control, opt for plants and flowers that are tall and narrow that will provide visual interest, like Green Tower boxwood, or smaller plants and shrubs that stick to a tight form and are super dependable like the Dwarf Heavenly Bamboo. 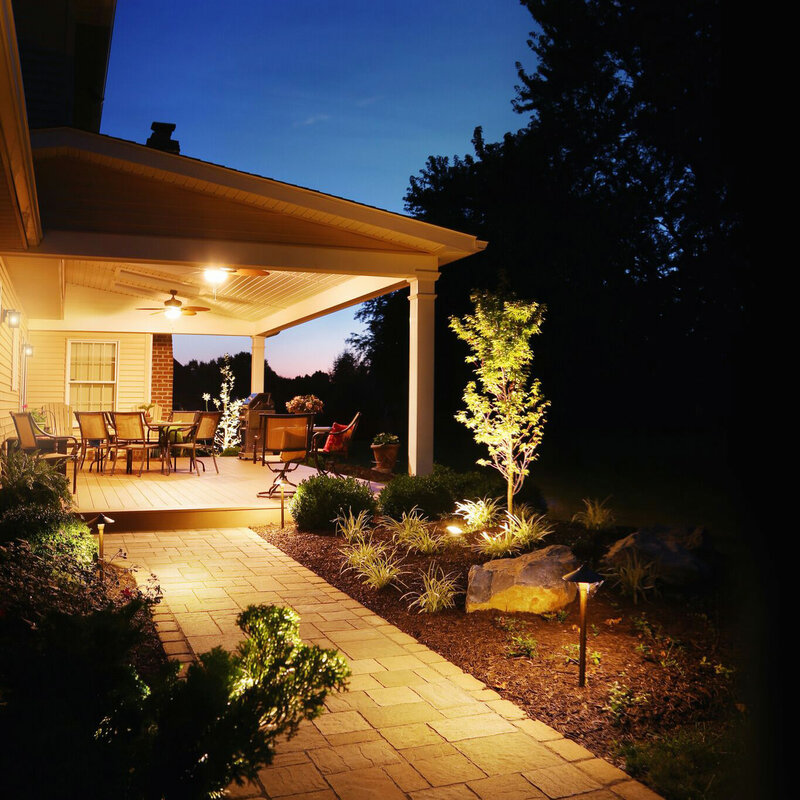 Adding finality to your new backyard transformation with strategic and warm LED landscape lighting will act like the icing on the cake. 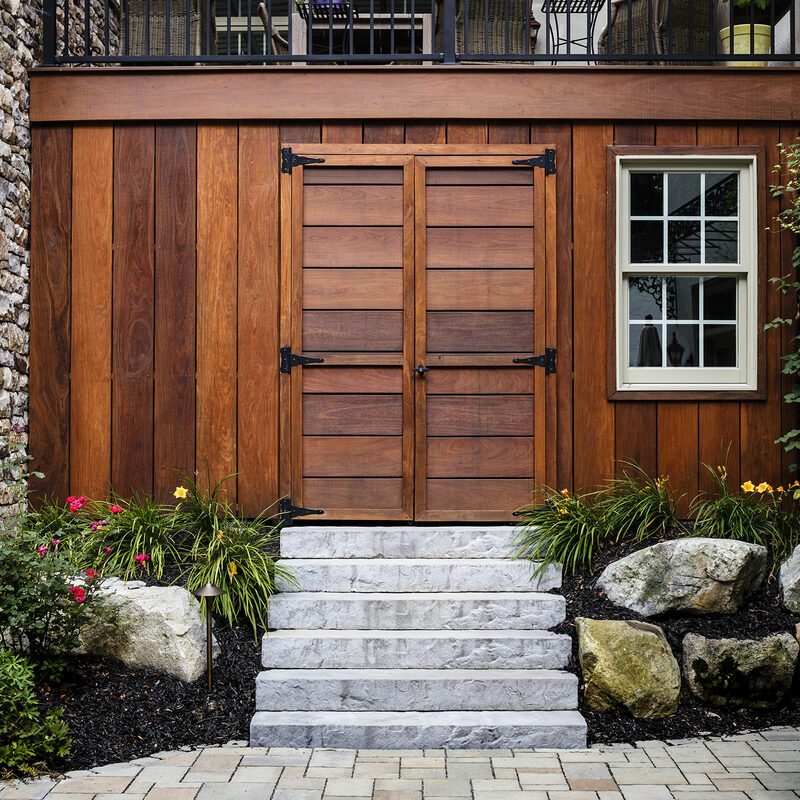 Equipped with ideas and the desire to transform your own outdoor spaces? 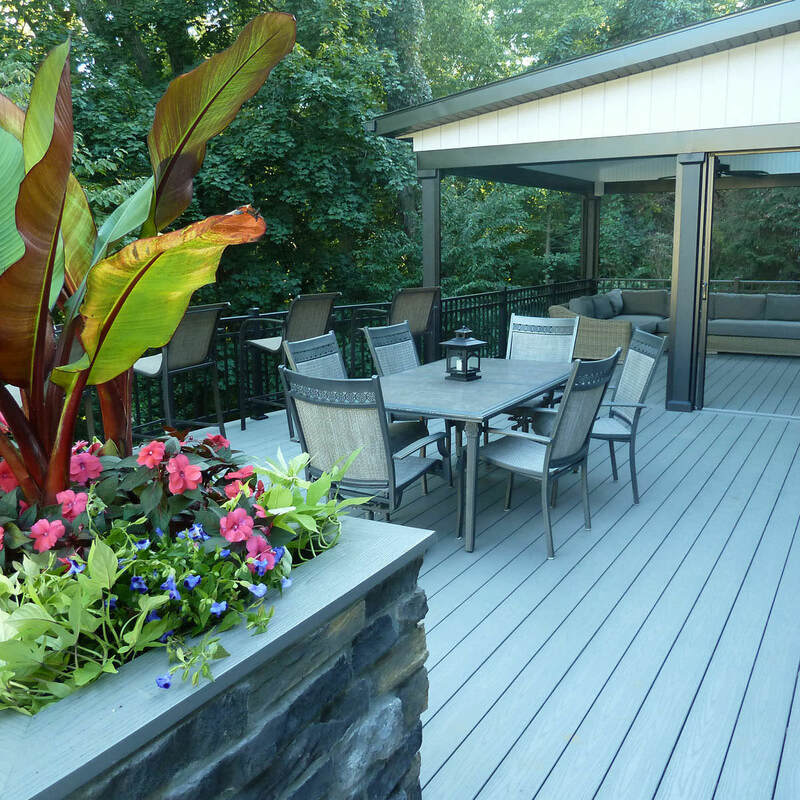 Reach out to MasterPLAN Landscape Design; we would love to hear from you! 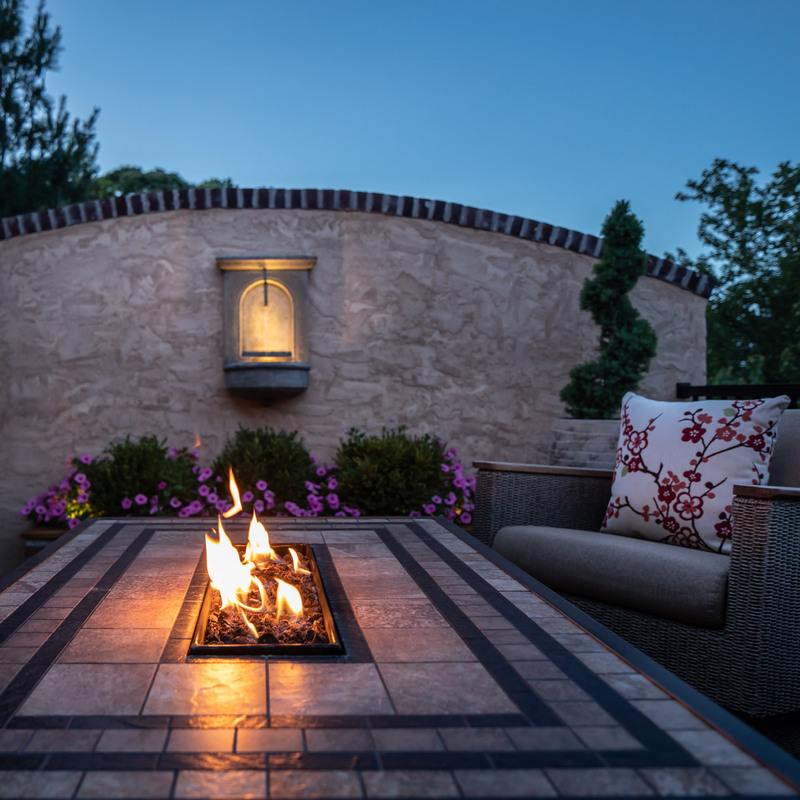 Serving the Poconos, Lehigh Valley through the Main Line of Philadelphia and western New Jersey, MasterPLAN aims to break the mold when it comes to outdoor living design/build! 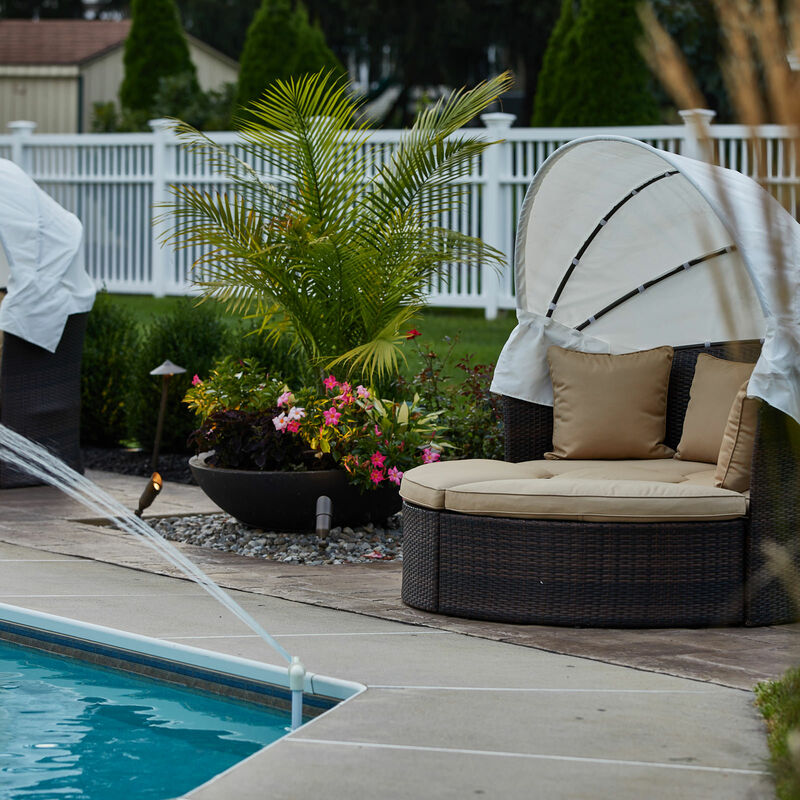 No matter the challenge your backyard presents, we are up to uncovering the creative solution that works best for you and your family. When you are ready to discover the full potential for your own property, we are ready to lend our expertise and partner with you through the journey!